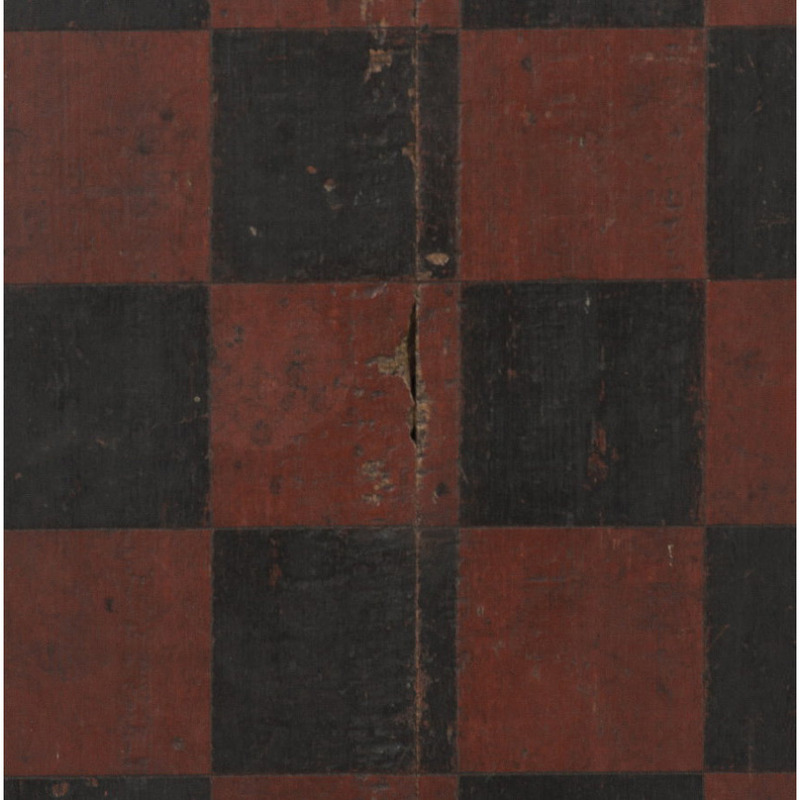 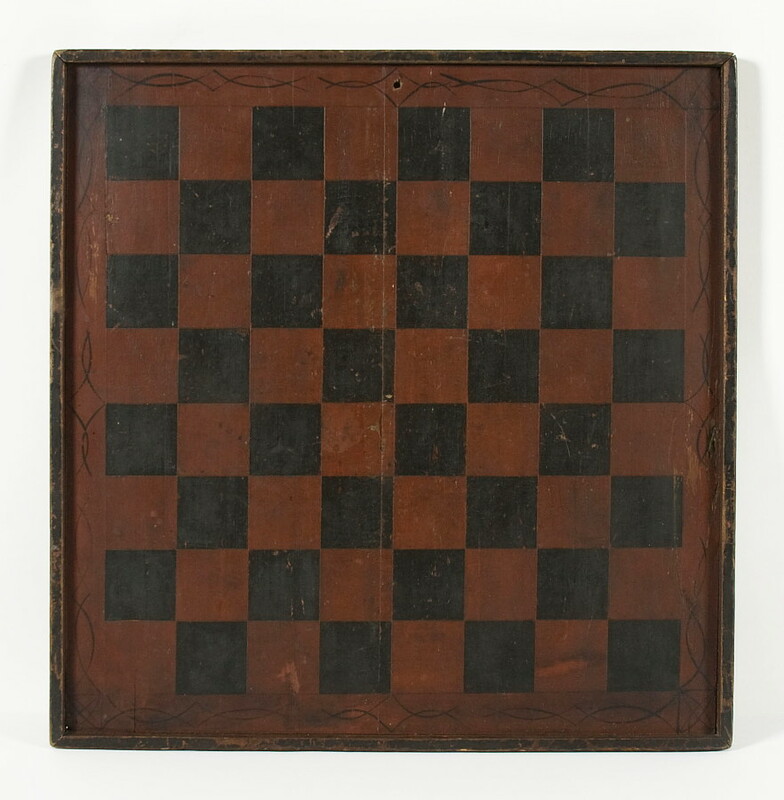 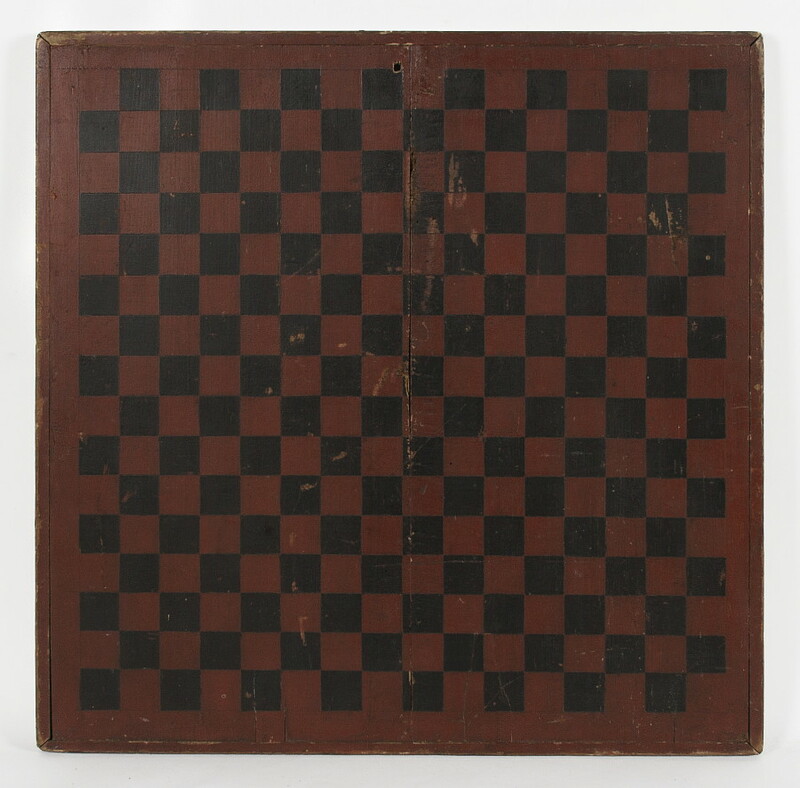 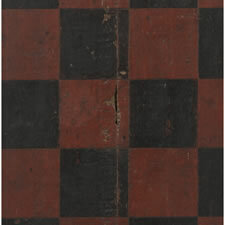 Dimensions (inches): 25" x 26" x 1.25"
This oversized game board, painted in rich, oxblood red and black, has a large grid for checkers and chess on the front, with wisps of attractive scrollwork around the border, and a larger than usual layout for draughts or some other game on the reverse. 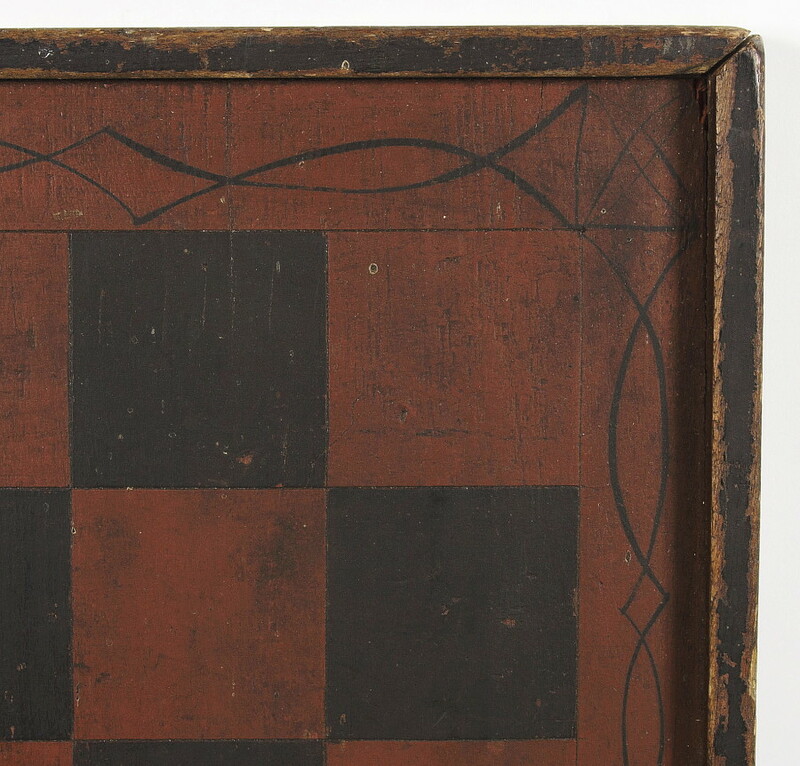 A wonderful, early example made from two planks of pine with a cut-nailed wooden frame that has a black-painted edge. 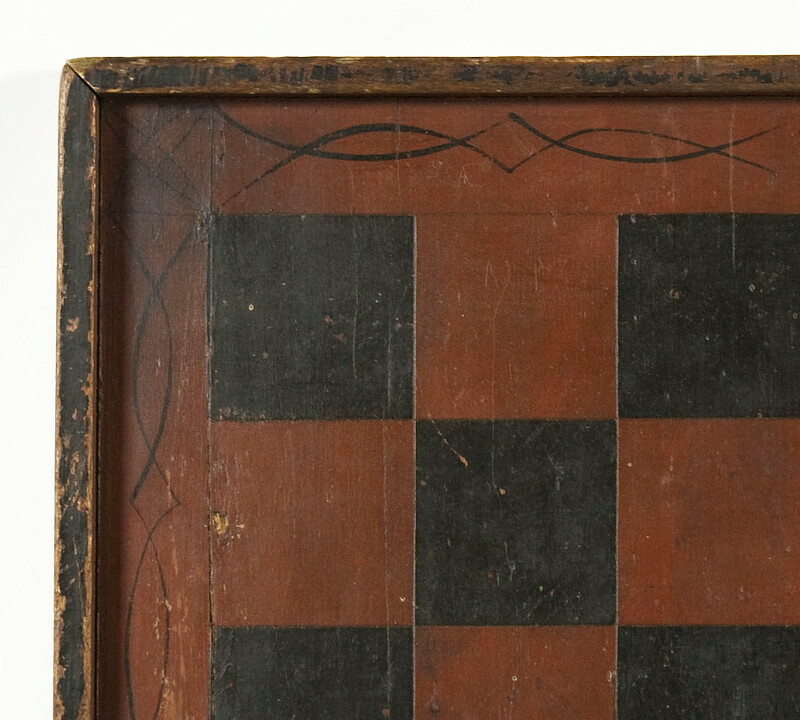 Excellent, original surface throughout. Condition: Minor wear, much less than expected for the age and size. 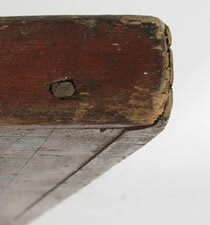 Additional cut nails added over time for support.